Custom colours, Swarovski crystal hair comb, with the option to add a birdcage veil. Each hair comb is hand adorned with Swarovski crystal elements and this means you can choose to add any colour crystal to the comb chosen from the colour chart pictured. 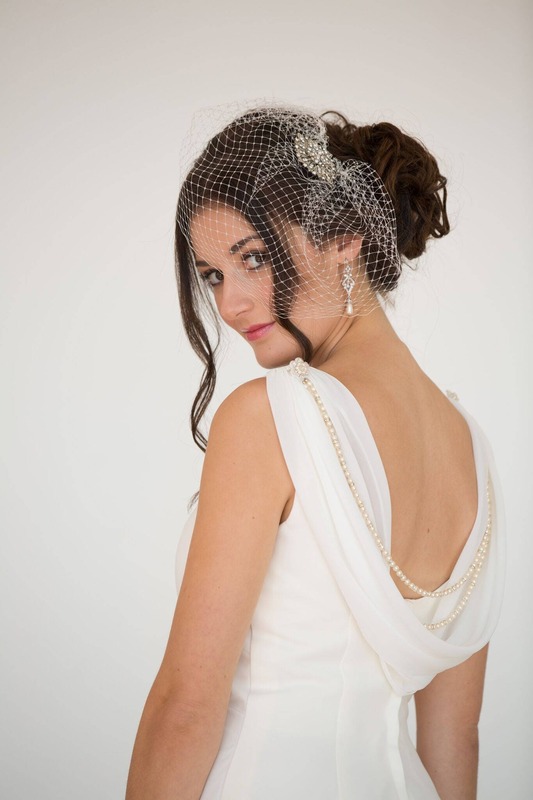 The veil is also available in champagne, Ivory, black, red, pale pink, pale blue or white and is made in a bandeau style. 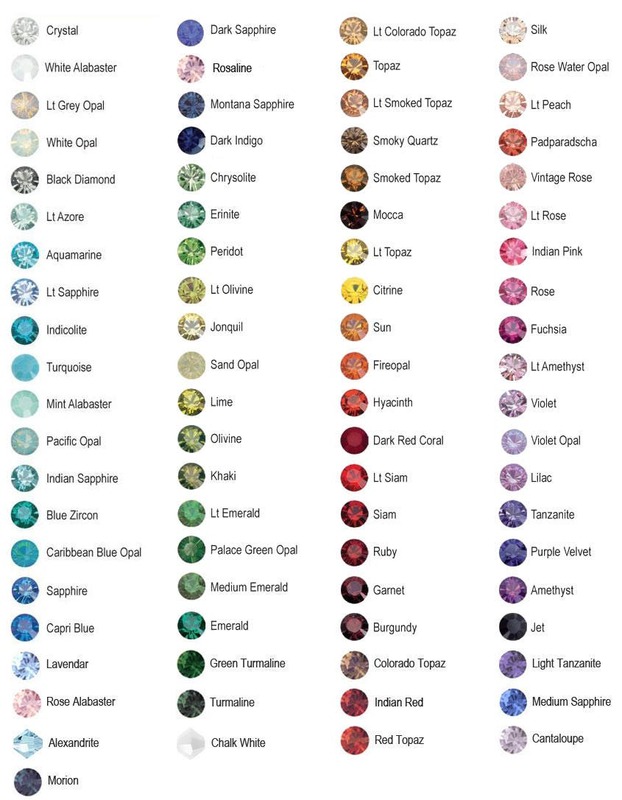 The veil may also be crystallised to your colour choice. 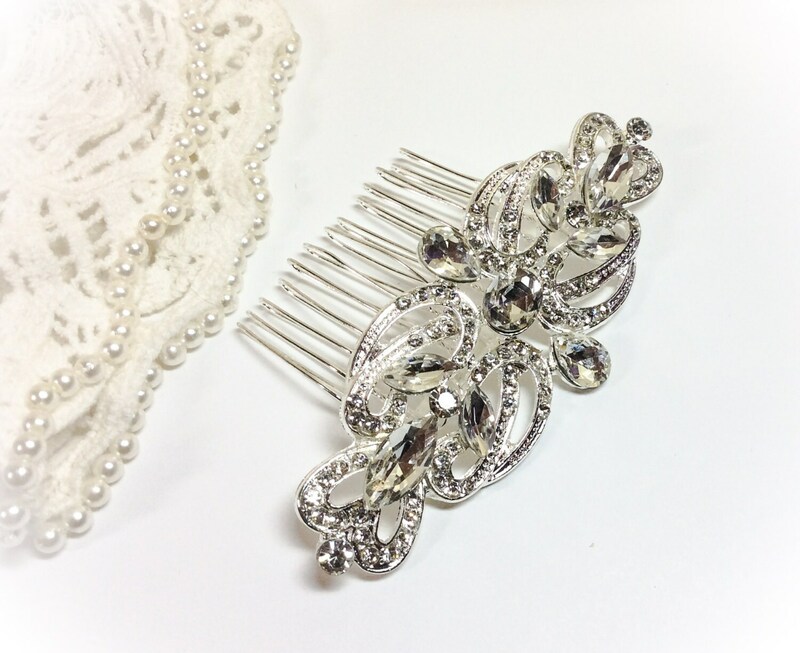 CHOOSE CRYSTAL VEIL WITH COMB OPTION 1. Your veil in hand sewn for you to measure. You may choose to add Swarovski Crystals to your veil which will be hand adorned and can include as many or as few as you wish. If there are any other options or styles of combs you would like, feel free to request a custom order and I never charge for design consultations. 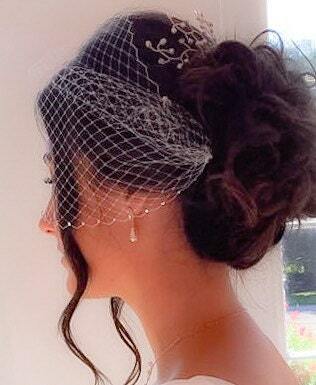 The birdcage veil is made with Russian netting. 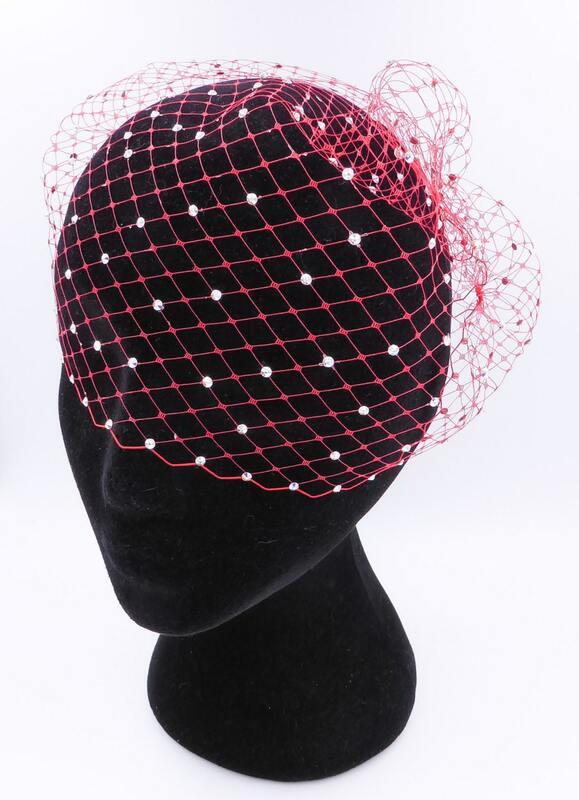 The bird cage veil is worn from ear to ear or can be worn to the side of the head and because it is detached from the clips, you can wear the clips only after the ceremony. Sharon was so helpful in getting this to me before my party! She was super quick to respond and send out, and the veil looked beautiful. One of the most helpful etsy owners I have ever worked with . Thanks!